If your nonprofit wants to learn how to apply for grant funding, this column is for you. 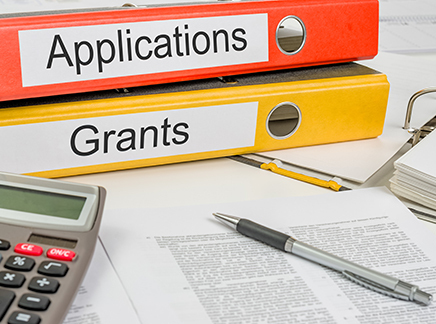 It can be overwhelming to apply for a grant from a foundation or granting agency. Each funder wants to know specific information, but not every one wants the same information. Some ask for a specific word count, others have a page limit, and still others ask you to count the number of characters in an answer to a specific question. The requirements may make you throw up your hands in distress. You can do that, but then we suggest taking a deep breath and focusing on the larger goal: securing funds for your nonprofit. Here are three things to consider as you prepare to write your first proposal. Follow the funder’s guidelines. As noted in part one of this series, many funders have guidelines and deadlines. Following these can improve the chances that your proposal will be read and evaluated, and not immediately declined. Funders receive many applications and they need to process the information per their internal guidelines, and then present the information to their board for approval. They are asking for information in a certain format to facilitate grantmaking. Collect the information you need before you begin writing. Review the application to learn the specific information you need to include in your proposal. Most funders will want to know answers to questions such as: What is your organization’s mission and vision? Are you working from a strategic plan? What are your organizational goals, objectives and outcomes? If applicable, what are your program goals, objectives and outcomes? How do you evaluate your work? What is your impact? Who do you serve? They may also want to know specific financial information such as: What is the total amount of funds you are seeking to raise? What your organization’s annual budget? Are you requesting funds for a specific project, or for the work of your organization in general? Who are your current funders? Have other prospective funding sources been identified? Ask someone to read your proposal before you submit. This can be another staff person, a board member, or a fundraising professional from another organization. What’s most important is that you share both your proposal and the funder’s guidelines with your reader. Ask for their honest assessment. Make revisions based on what you have learned, and then submit. After submitting you may feel tempted to “cut and paste” and submit to other funders. We caution against this: each proposal needs to be tailored to a funder’s requirements. Special note: If you are a board member or executive director, you have an important role to play in growing your organization’s ability to apply for and receive grants. You are responsible for allocating funds – and time – for the professional development of your staff. There are trainings and webinars that staff, board members and/or volunteers can attend. Your organization is worthy of investment and you can provide the leadership. You can learn more about potential funding sources at the Foundation Directory Online, part of Candid a new organization formed when GuideStar and the Foundation Center joined forces. Finally, as you get started here are links to prior columns on this topic. We hope they can assist you and your team.